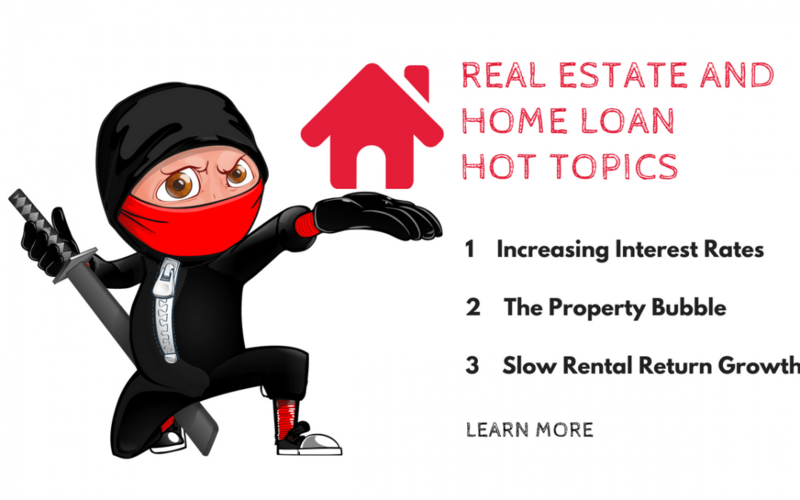 1 Increasing Interest Rates – Interest rates are always a hot topic for discussion and with the Home Loan Interest rates being at a record low, new homes, renovations and investment properties are always of the must have list. But what comes down, must go up. At some point soon, according to Trading Economics (2018) the cash rate (now 1.5%) will be at 3% by 2020. This means make sure you can afford your current repayments interest rate to potentially double by 2020. In support of this point, Bristow (2018) maintains that increase in interest rates in Australia could lead to an increase in mortgage stress. He further adds that the Reserve Bank of Australia (RBA) has reported an increase in debt-to-income ratio from 120% in 2012 to 140% in 2017. Even when you look at our Australian short-term interest rate in February was 8.65%, this rate has been maintained since April of 2017 when it increased from 8.6% (Trading Economics 2018). The highest it has reached is 20.50% in 1989 and the lowest being 8.10% in 2002. This means enjoy living in the now, and don’t over extend your debt as you may be in trouble when everything starts going up. 2 The property bubble – investors are facing an ever-growing concern over the hike in property value (Clair 2017). Although they endeavour to expand their portfolios they are not willing to fork out money for property being sold for substantial amounts. Many invesors are looking for better valued options, as Schlersinger (2018) discusses to the growing need for logistic facilities such as industrial sheds and especially located in populated areas. The competition is very high for these properties, thus the soaring prices. BIS Oxford Economics analyst, Christian Shilling, adds that for every property available there a 20 buyers vying for it. 3 Slow Rental Return Growth – although good for tenants, this has had detrimental effects on property investors (Jacobs 2018). There was a reported 1.2% quarterly increase in regional areas and a 0.5% decline in house prices in December of 2017. Lawless (2018) further stated that Sydney which represents one third of national housing had a 2.1% decrease in the last quarter of 2017. In spite of this, strong migration to Sydney and Melbourne have resulted in doubling of their dwelling values since 2008. In contrast, other capital cities have had a growth of less than 20% while Hobart experienced growth of 35%, followed by Canberra with 31.4% and with Adelaide 21.4%. So where do you invest your money? Good question, but the simple answer is always do your research before you purchase. There are always opportunities if you look hard enough, Blackbox Finance are aware of many investors looking at less conventional assets like Diamonds, Gold and Silver. Whatever you decide Blackbox Finance can help you fund it, assets are assets in the banks eyes, so don’t limit yourself to just property. No need to buy a property at the top of the market in Palm Beach or anywhere on the Gold Coast, Queensland, just buy some Diamonds. They are a girl’s best friend. Looking into buying a family home, or investing in residential or commercial property? Considered refinancing your home or taking out a mortgage on a home you own? Call Blackbox Finance anytime.